This weeks post may well be an incoherent scramble of words from my hungover brain as I harnessed my youthful spirit and went all out on NYE. Wet plate collodion is a process I have been patiently exploring. It's a tricky one to master and with it comes the beauty of unpredictability. Working with a large format camera is a luxury I rarely embrace, as much of my work requires me to move quickly whilst my subjects wait for me to load film and figure out what on earth I am doing. The additional pressure of one shot taking so long is something I save for a simple set up until using the beautiful beast becomes second nature. 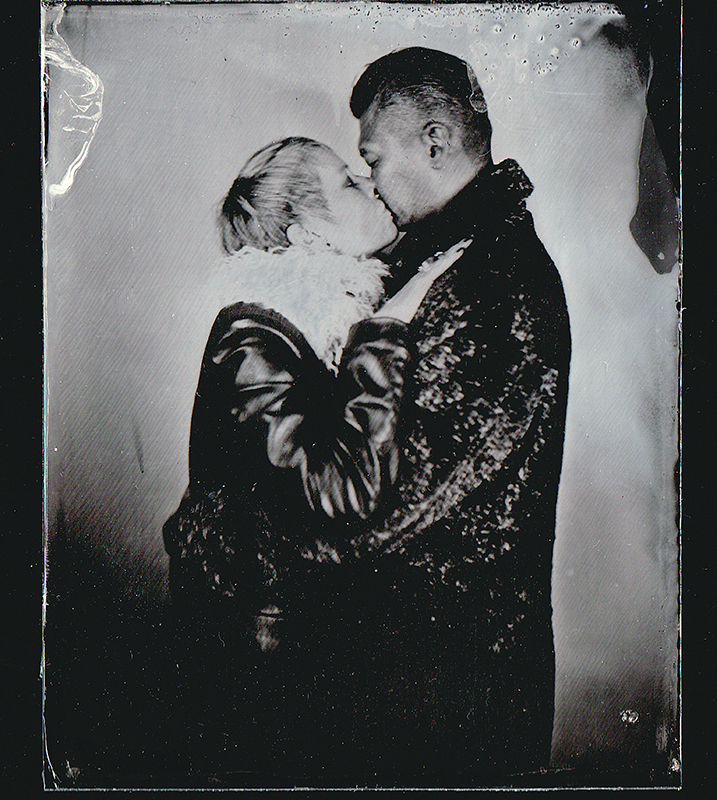 These wet plates are a small series on couples kissing. I thought it would be nice to shoot something alternative rather than simply relying on the beauty of the aesthetic. I scouted for couples varying in age, ethnic origin, sexuality and gender and it's a nice simple way of educating myself whilst having an interesting subject. In time I hope to use this process on a few ideas I have for projects but for now it's all about building up my familiarity with the technique and materials. Here's one of the lovely couples that patiently waited in the freezing darkroom whilst we dabbled with chemicals and set up our scene. Their German and Chinese decent made sure they had interesting stories to tell and visually struck me as unusual. I’m sure you'll agree they make a great match.